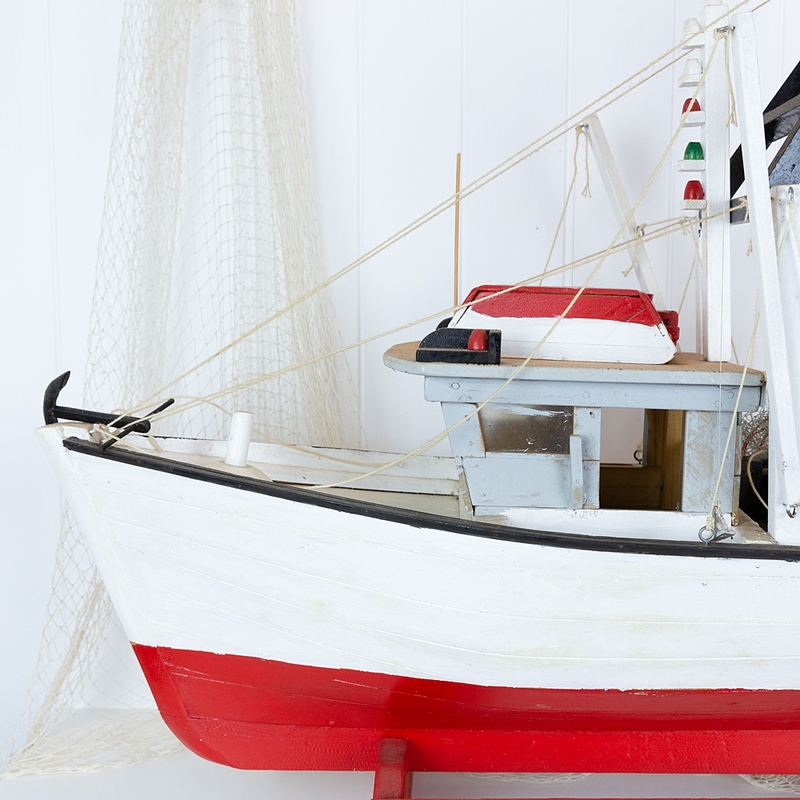 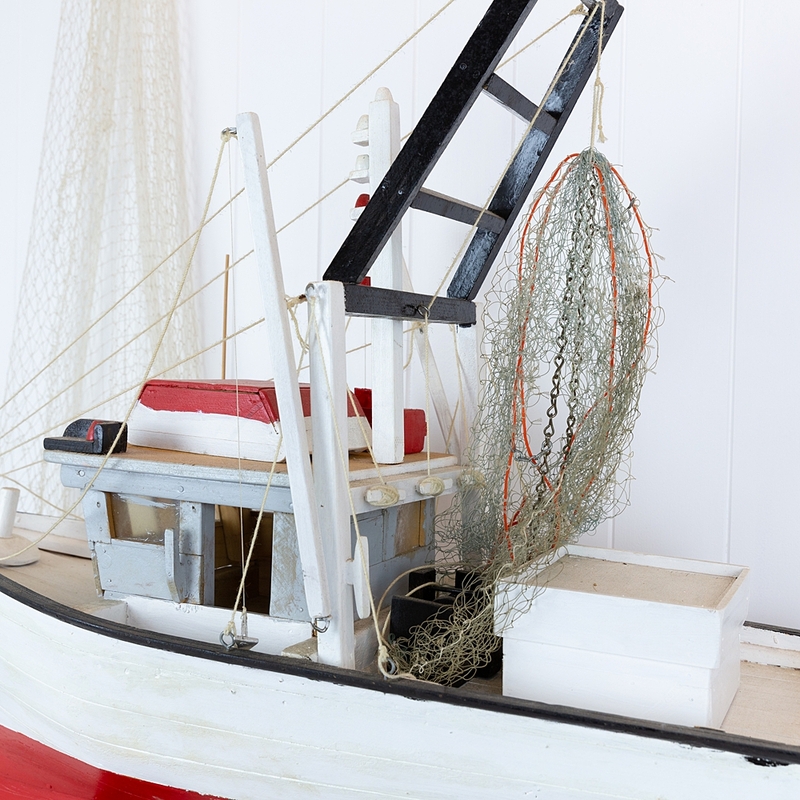 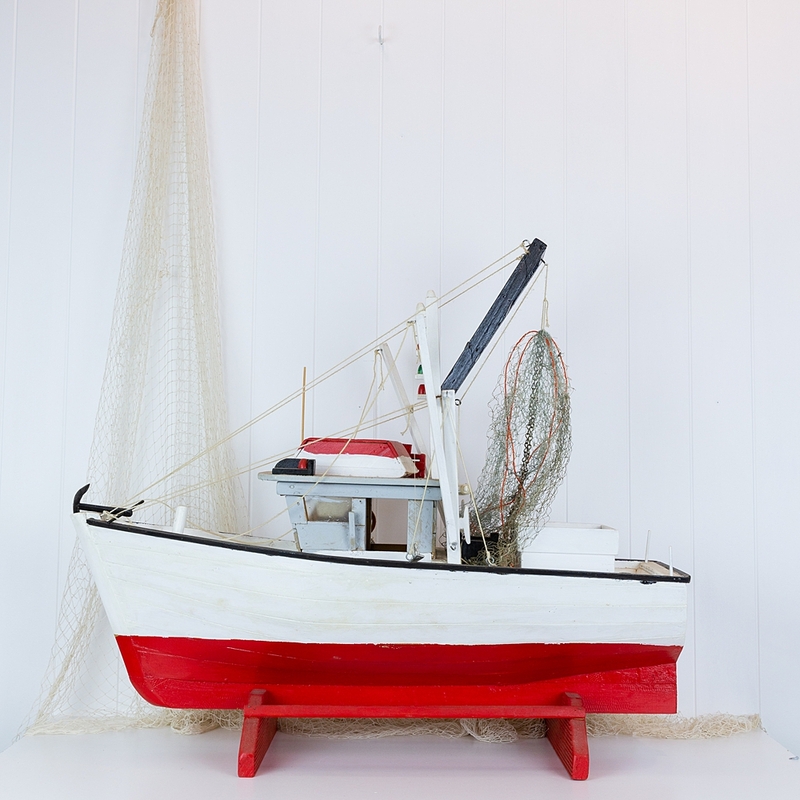 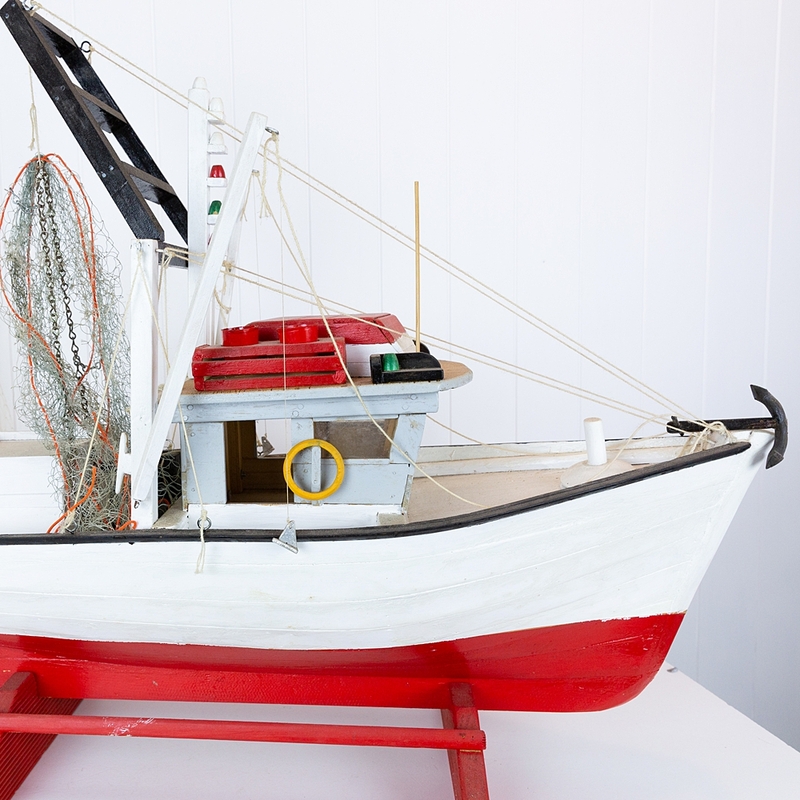 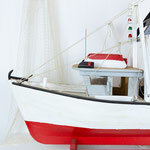 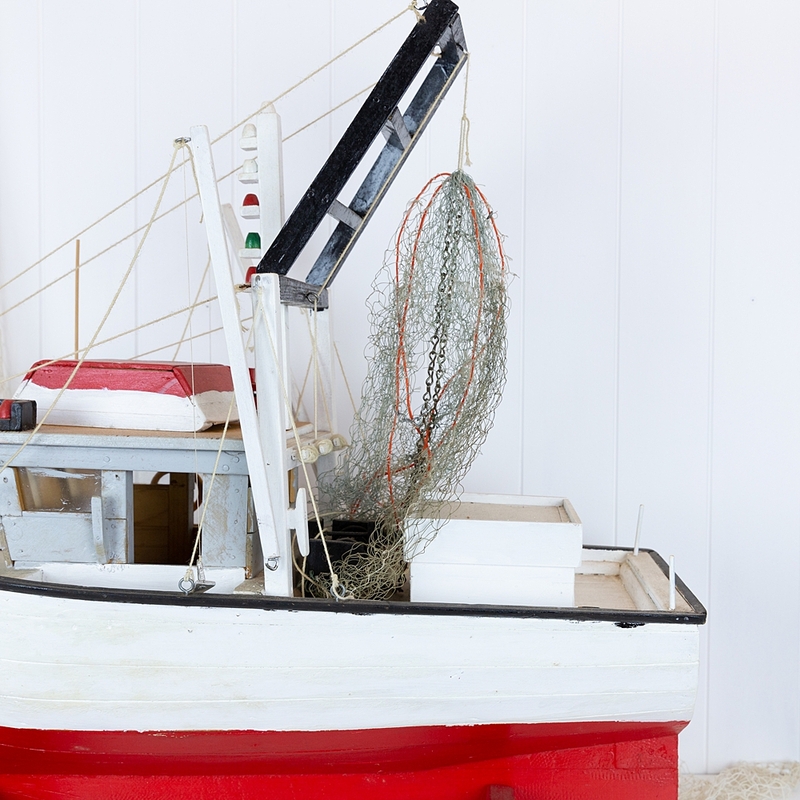 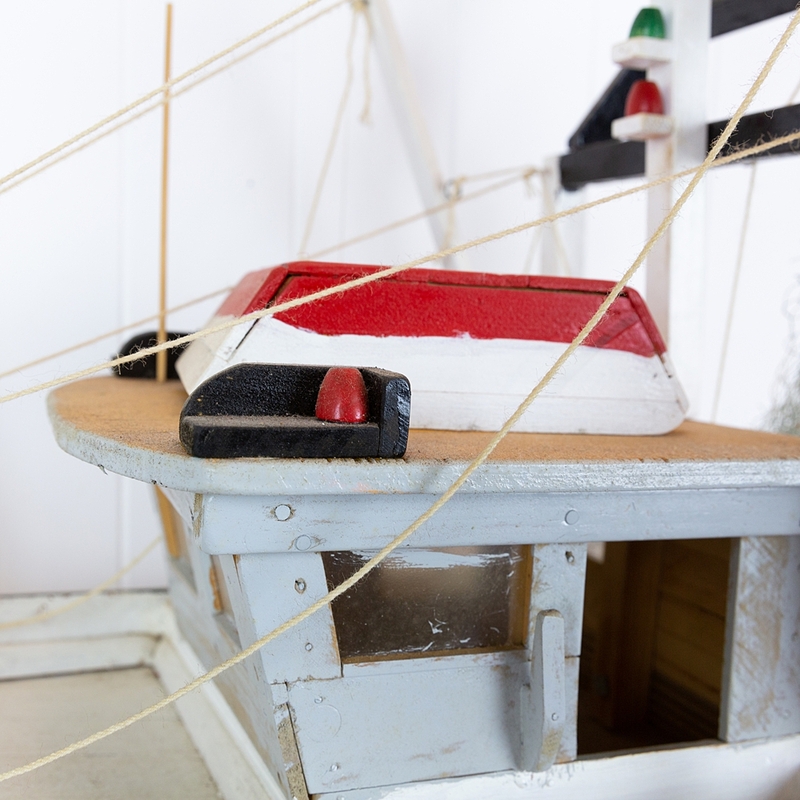 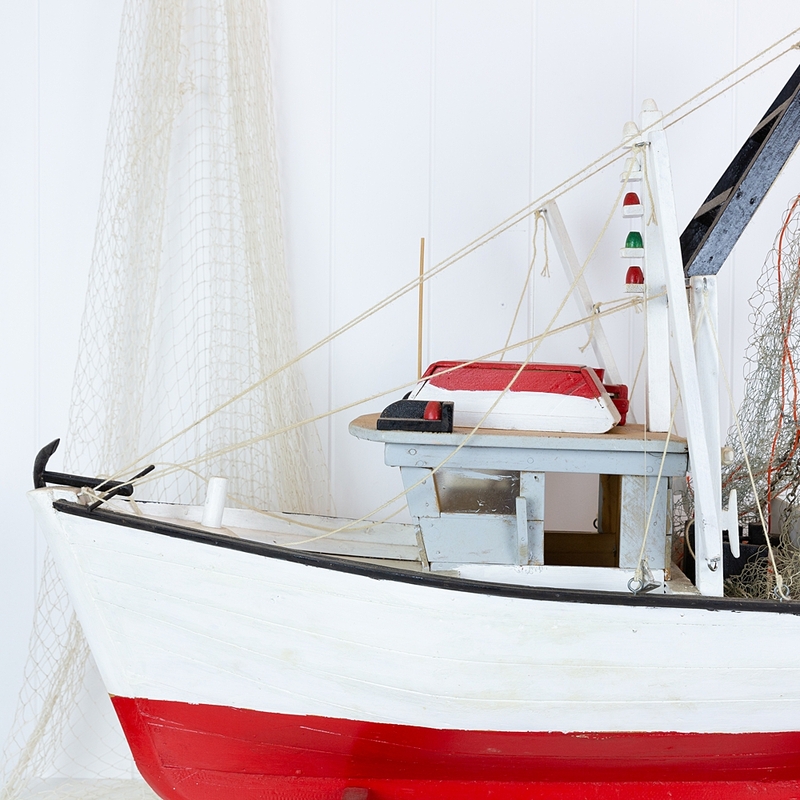 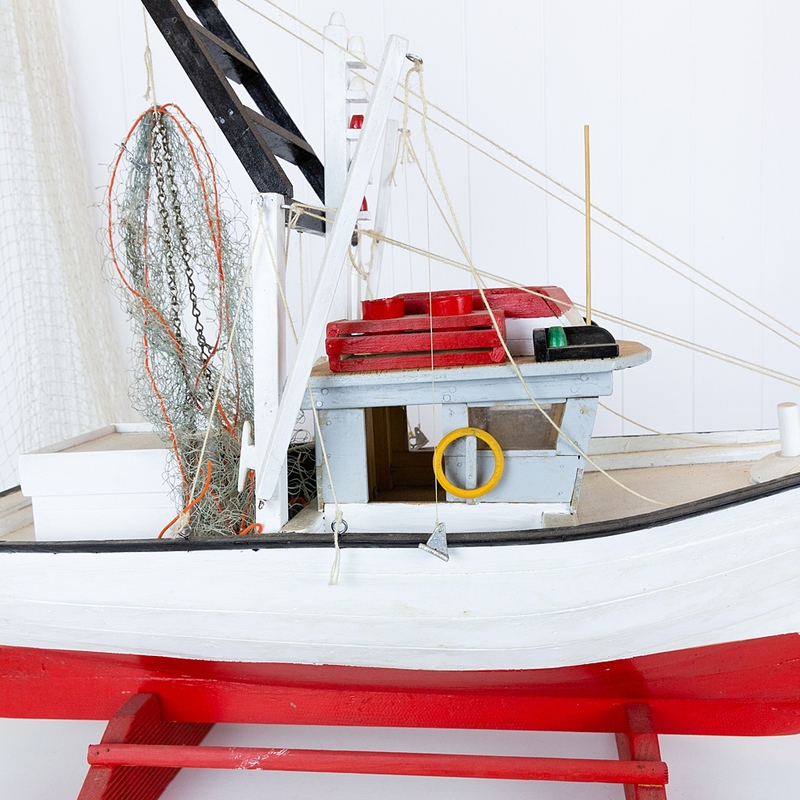 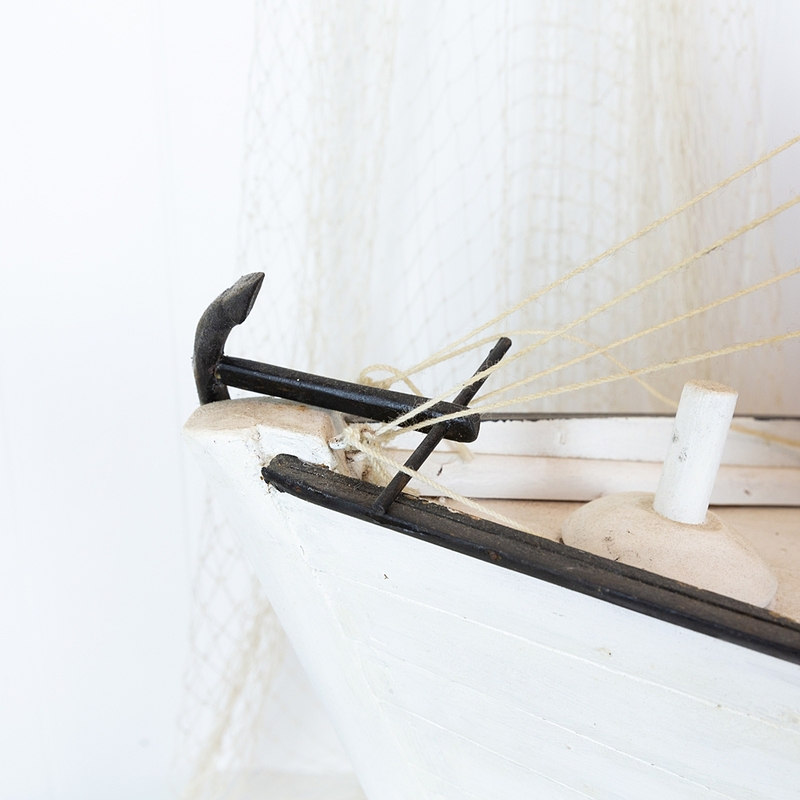 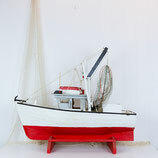 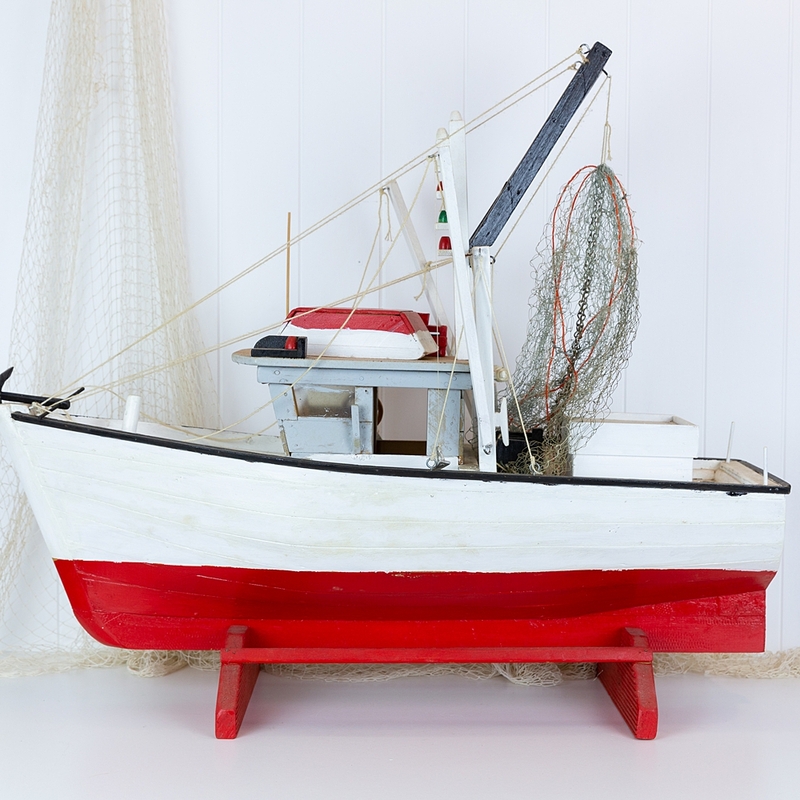 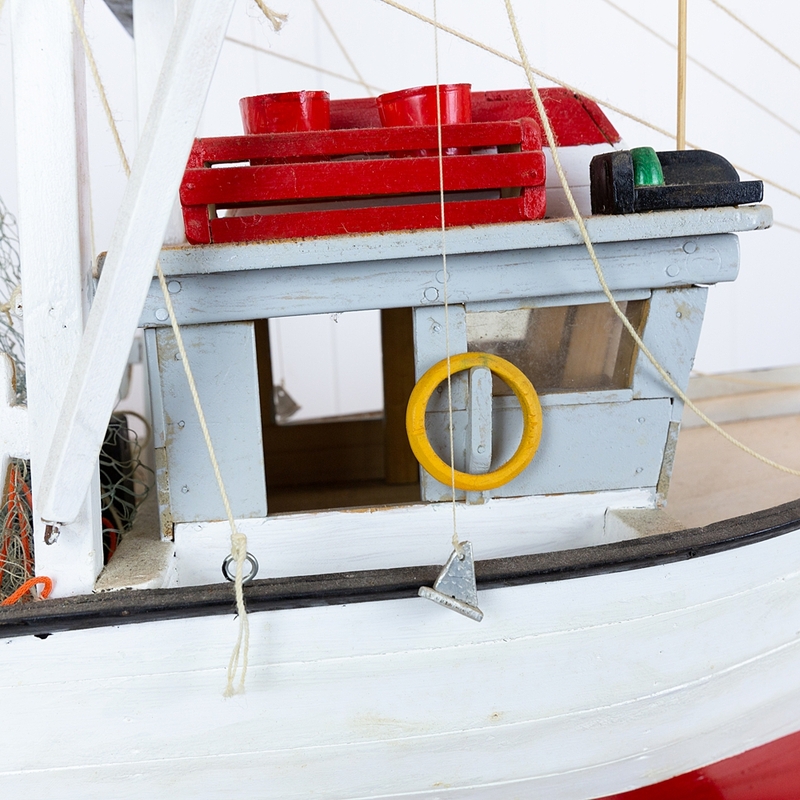 This wonderful handcrafted wooden model of a fishing trawler would have been a labour of love for the maker. 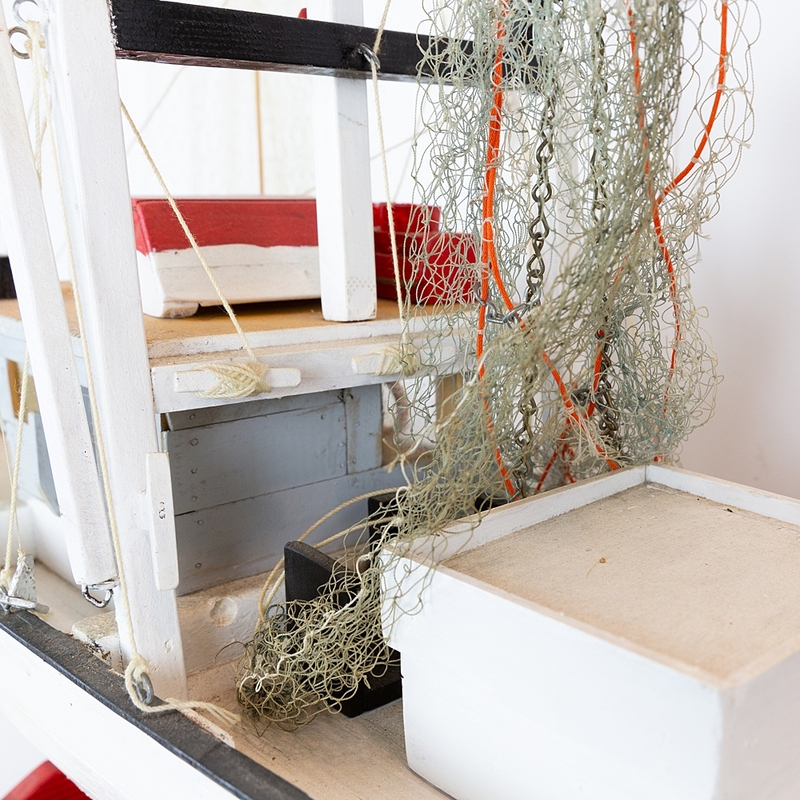 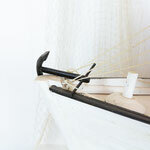 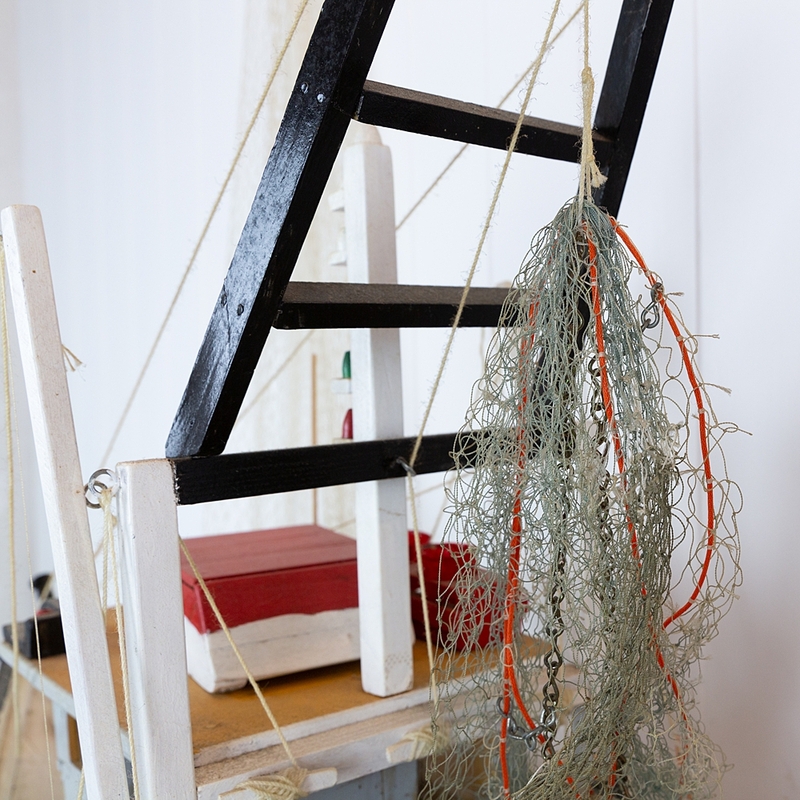 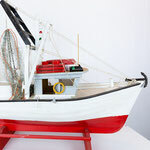 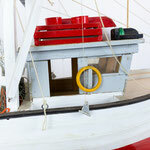 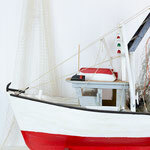 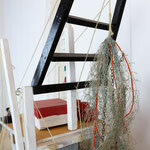 Its hull is painted a vibrant red and white, and on deck there are miniature nets, winches, a life ring and an anchor. 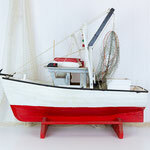 Sitting on a matching red stand it would look amazing on the bar of a sea food restaurant, or on the mantel in a coastal home.